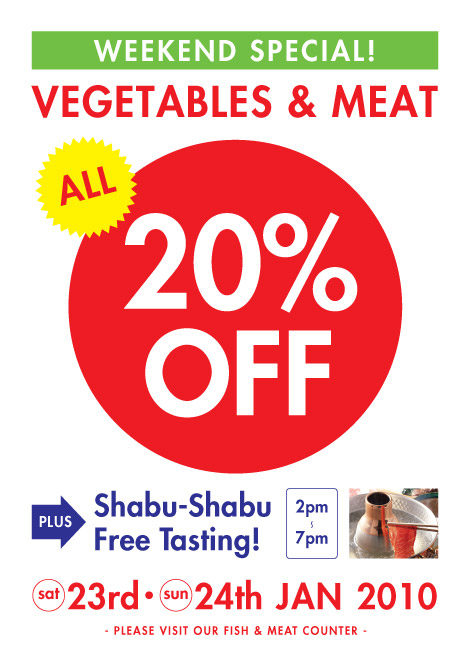 This weekend and this weekend only there is 20% off all vegetables and meat at the Japan Centre store. And if that wasn’t exciting enough, there is free Shabu-Shabu (hot pot) tasting from 2-7pm Saturday and Sunday. Can’t be missed! Find us at the Fish and Meat Counter at Japan Centre, 14 – 16 Regent Street, London SW1Y 4PH.